Insider reports say Hillary Clinton is asking for a press conference !!! it is the last thing she does. Scorned by all of the Red States, she lives for revenge! Who would want to kill Whitey Bulgar? So now, just weeks after the FBI’s worst nightmare, a gangster and FBI informant by the name of Whitey Bulger came strolling back into town, Congress is about to ignore its own wisdom and let Bob Mueller, the FBI director and former US Attorney in Boston, stay on an extra two years. President Obama says he needs Mueller to stay because there’s been so much turnover in the national security teams at the CIA and Pentagon, and that’s all well and good. 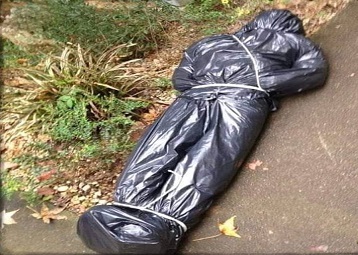 Deep State reports this was found in the woods behind the Clinton Home in NY. Sources say it could be the unidentified accuser !!!! I think you probably could. Especially, it seems, inside the Beltway. in a wheelchair by 3 mafia prison people. did you see. Some guy tried t o pay a wo man to say t his. Big Big bucks too. Tens of thousands of dollars. They must be getting pretty desperate to get rid of this guy. He must have a # load of stuff on trump. some people have an much freedom of speech as you do. Some people just dont realize that.